Miami is the hidden gem of the Gold Coast, but for those less clued up it can often fall into an abyss between Burleigh and Mermaid. Boasting epic surf, uber cool eateries and bars and a seriously impressive group of creatives, if you don’t frequent this hood already you’re going to want pay it a visit quick smart. Here’s our pick of the best things to do, see and eat in Miami. Whether you’re after a magical morning brew from one of the Coast’s well-respected barista lords, a satisfying breakfast or simply, a Sol Cleanse juice and baked treat to start your day, then this is the place to be. Situated on the popular Pacific Avenue, Daymaker Espresso is only open until midday so the early bird definitely gets the worm, because the Nutella Choux Donuts don’t last a hot second on the shelf. If you want to take your friendly pooch, they’re more than welcome, in fact they are encouraged. Adorable pets make people stay longer, and maybe wait around for their 2nd coffee hit. Paddock has to be the OG cutest café on the coast, it literally melts our hearts, ensures we unbutton our jeans, and leave feeling very pleased with our decision to stop by. The white weatherboard cottage with the picket fence and shady trees is like something dreamed up from a romantic novel. Their artisan wood-fire baked bread is so heavenly, it’s hard not to leave with more than one loaf. 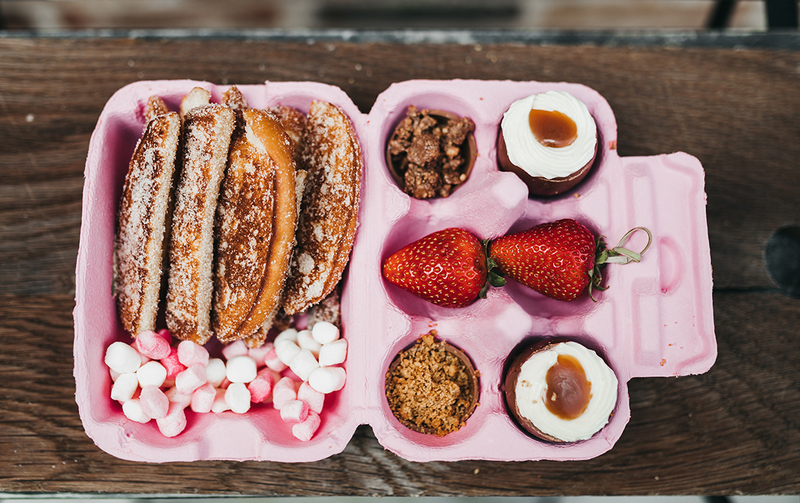 From dippy eggs to doughnuts, pavlova cruffins to twice baked almond croissants, acai bowls and bagels, we advise you order a whole spread and go family style so you can taste a piece of each. The recent opening of Grandad Jack’s Whiskey and Gin distillery sees an old family recipe of whiskey that was kept secret for close to 90 years being distilled for the public to try. Pop in to try one of their delicious flagship gins with numerous mixes on the menu. Most nights there is live music playing but most of all we love the real neighbourhood feel about the place. Intrigued by the gin process? Then book a tour of the craft distillery and learn more about the legend that was Grandad Jack. We've seen an influx of local brewers in the past 12 months and we couldn’t be happier, but this ain’t no typical brewery, think loads of pastel pink and of course, palm trees. A weekend watering hole with an outdoor drinking area and six refreshingly unique beers on tap, it’s bound to put you in your happy place. If you’re after something different opt for Lost Palms thirst quenching Beetroot Sour, or the tangy strawberry blend of Kombucha. We can’t wait for the imminent local art exhibitions crossed with new brew launches, coming oh so soon. Cruelty free and killing it…in the tasty plant based foodie sphere that is. There couldn’t be a better ethos for the team behind the Greenhouse franchise. We’ve tried nearly everything on the menu and definitely converted some vegan nay-sayer friends during the process. The nachos are seriously off the scale, filled to the brim with black beans, quinoa, fresh vegetables, avo salsa and sour cream chipotle cheese on a bed of organic corn chips. And we won’t even go into how good the arancini mushroom balls are. You won’t miss meat or animal products on this menu, that’s for sure. Miami’s latest foodie market place, The LC, is 100% vegan taking a very popular way of life from misunderstood to mainstream, whilst being completely inclusive of people who aren’t solely plant based. 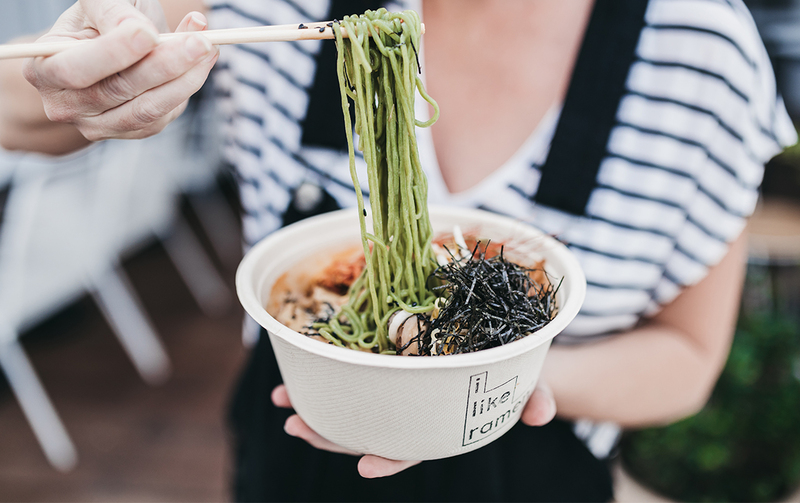 There are five kitchens at the venue including Australia’s first and only vegan Ramen restaurant. There’s even craft beer and all kinds of special cocktails at their new rooftop bar The Regal, making it the one stop shop for breakfast, lunch, dinner and drinks. You may just spend your whole summer holidays here, we don’t blame you. We love the Black Hops story, affectionately branded the 'least covert operation in brewing'. The three mates behind the brewery are just everyday blokes with a dream, which they’ve worked their guts out to bring to fruition. 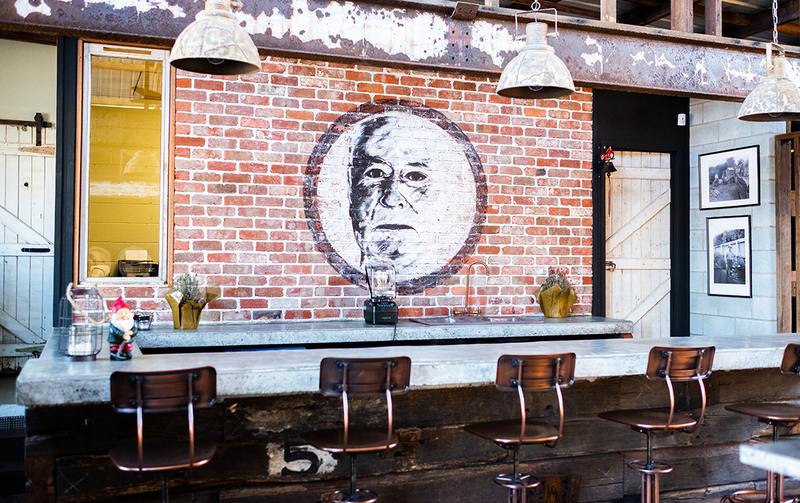 The brewery’s cellar door is intimate and super welcoming, open seven days a week for takeaway sales and tastings. Our pick? The tasting paddle, so you can sip your way through a select handful of their weird and whacky creations, including the beer on which the dream was born—the Eggnog Stout. The coolest co working space slash digital agency slash art space we ever did see. Gone are the days where you would have to sit at a dingy café and order lattes all day just so you could use the wi-fi. Hotel Miami will make you feel like you’re on holiday…when you’re not. They have a fully equipped photography and videography studio, co-working desks and cater for workshops and events. We especially love their monthly ‘First Fridays’ where they showcase local artistic talent, park up a food truck and offer good times and good tipples with a bunch of like-minded crew. Rent a desk for just $29 a day, weekly for $119 or if you’ve got a bit on, opt for the more permanent offices upstairs. 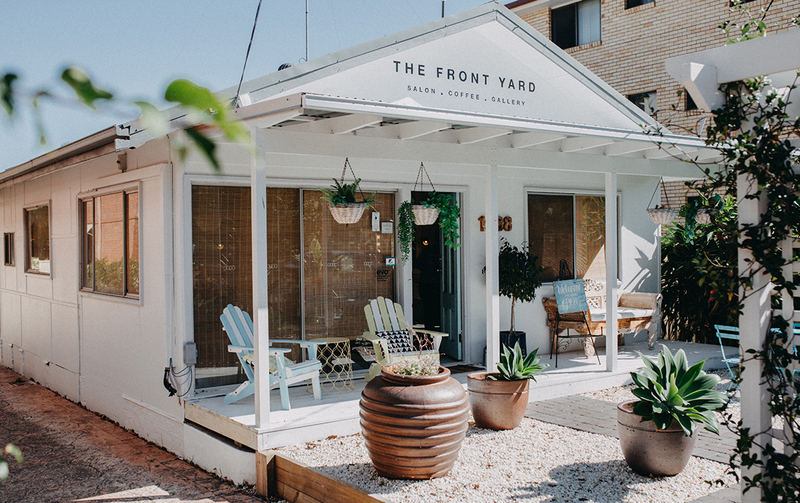 If you’ve been cruising along the GC HWY and spotted what looked like an adorable weatherboard house with a group of genetically blessed people hanging out the front, then you’ve found The Front Yard. The cute-as-a-button former home has been transformed into a creative hub with a gallery, coffee nook, nail bar and uber cool salon. So you can basically walk in looking like a hot mess and strut out looking like a 10!. And it’s not just about the ladies here either. The lads at Zeppelin Barbers have set up an awesome two-seat man cave—expect slick cuts and friendly banter. Block out a few hours of your day and indulge in some serious pampering—you deserve it. Offering different class options from beginner, intermediate and reformer to HIIT and met con (metabolic conditioning) this compact studio will help you on your way to a toned bod and refreshed mind in no time. Precision is a huge focus at Pilates & Co, and because of this, your workout ensures you stay incredibly mindful as you concentrate on aligning your posture, lifting your pelvic floor, keeping your spine in neutral, lengthening your limbs and the timing of your breath. Complicated much? The smiling staff are superb at talking you through each step with the goal being inner control and complete coordination of body and mind. Hands down one of our favourite hang-out joints on the Gold Coast, Miami Marketta is tucked away on Hillcrest Parade in Miami. Held every Friday and Saturday night and on Wednesday’s but at a smaller scale, is the best round up of street food stalls you’ve ever seen. Don’t forget to wander through the dessert hall after you have tasted some food from all around the world. 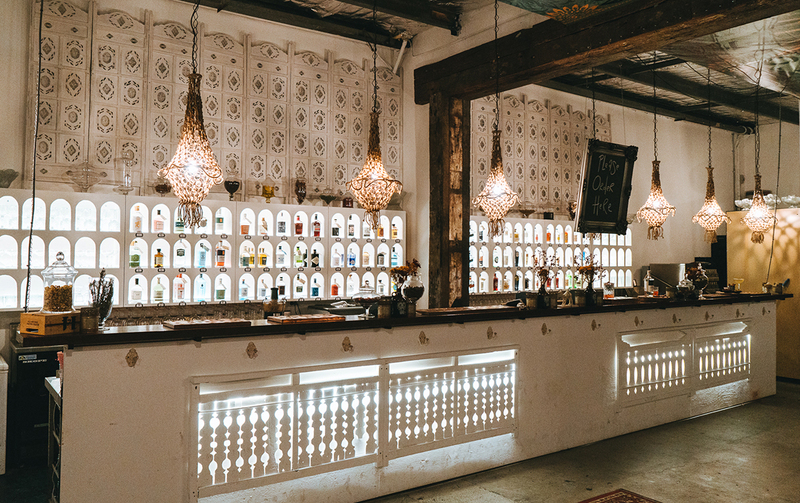 Miami Marketta has been around for a while, but just keeps on getting better, especially with the recent addition of the Gin Parlour stocking a whopping 91 different varieties. It would take you over a year to try a different tipple every weekend! There’s continuously a line-up of regular live music and often pulls in big acts so there’s really no better way to spend your weekend. If you and your crew haven’t paid a visit to Lumber Punks then you’re seriously missing out. For $45 each you and up to 10 of your friends will get an hour and a half session. Don’t worry if you’ve never thrown an axe before as the Lumber Punks team will take you through all the basics to help perfect your skills. Then you’ll have free range to challenge your mates to a game or two. Even better, there’s a juke box for you to pick your tunes and a fridge stocked with beer. Simone and Grayson Kira are a talented duo who are driven by a desire for thoughtful, timeless and sustainable design. Their workshop and retail space showcases true craftsmanship through their signature style pieces. These are all stocked alongside homewares from local designers whom all happen to be friends of theirs. You can seriously kit out your home with everything from vases, jewellery and cushions, to homemade wooden serving boards, tile wall hangings and larger crafted pieces all with clean lines, beautiful finishes and designed to suit almost all interiors. 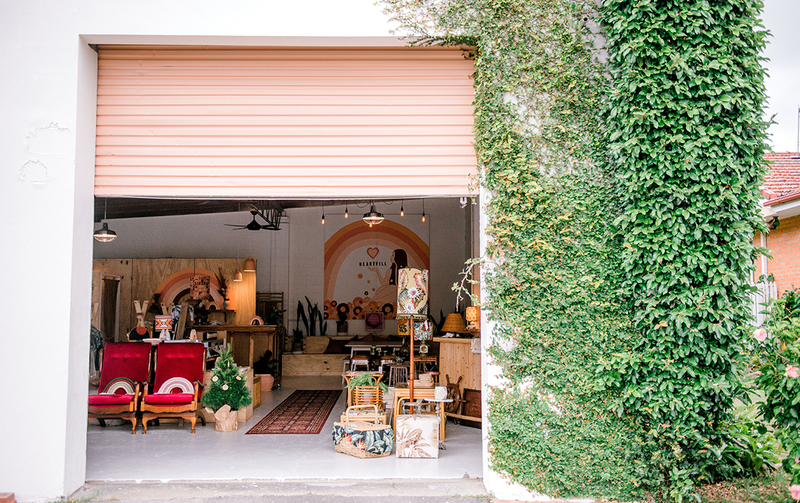 This recently opened store’s ethos is all about filling your heart, and not landfill, encouraging you to make conscious, sustainable and joyful purchases. The majority of items for sale at Heartfill are hand-made, made to order, or just completely one-off and vintage. Even better, when you buy you’re supporting local creatives which is a huge bonus. The space also doubles as a workshop environment for arts and crafts, team building, brand gatherings and other private events. The name has it in a nutshell as shopping small is definitely a way to fill your heart. The first thing you will think upon entering this space is “When can I move in?”. But seriously all of your home-ware dreams have come true with Trader Trove. Products sourced from all around the globe including Moroccan cushions and blankets, Afghan rugs, rattan furniture from Indonesia, fair trade African baskets, Turkish ceramics and pieces like vintage Hawaiian floor lamps. Avalon, the owner wanted to introduce a creative space where the community can get together with the likes of yoga classes and workshops on offer to forge conscious connections with likeminded souls. Want to check out more sweet hoods? Here's our round ups for Currumbin and Broadbeach.